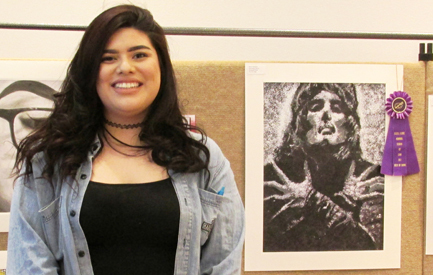 The Artesia Historical Museum and Art Center recently hosted the 2017 Russell Floore Memorial Student Art Show. Museum manager Nancy Dunn reported a large turnout at this year’s reception and significant participation in both People’s Choice award voting and the silent auction for pieces available for sale. 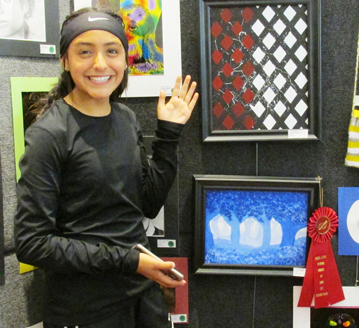 Students from Artesia High School, Park Junior High School, and Zia Intermediate School all participated; first- through third-place and honorable mention awards were given to pieces from each school, as well as the overall Best of Show and People’s Choice awards. The students were under the direction of art instructors Tim Trentham (art) and Tiffany Pascal (digital media), AHS, Kyle Kimple (art) and Jennifer Duff (digital photography), Park, and Juli Newton (art), Zia. 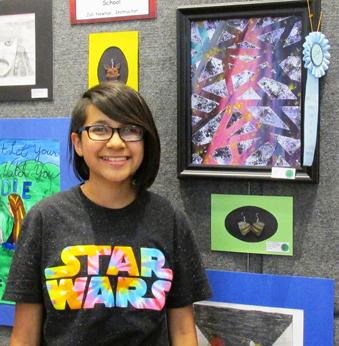 The silent auction of show pieces raised $726, all of which went directly to the students. 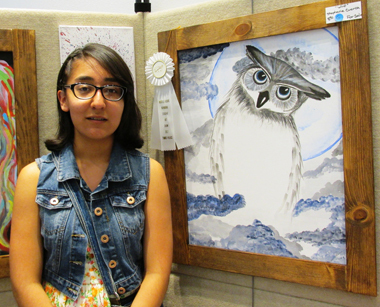 Left: Park Junior High School: Third Place, Stephanie Cuenca, “Who,” acrylic. 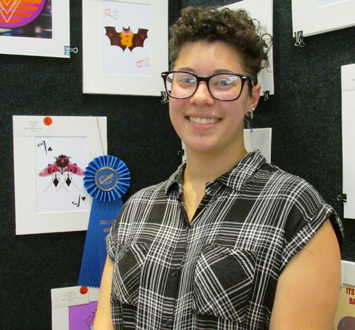 Artesia High School: First Place, Cassie Blake, “Ace Moth,” digital media. 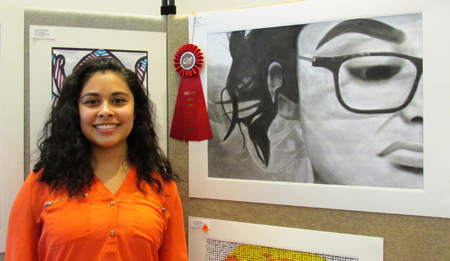 Artesia High School: Second Place, Theresa Lopez, “Teddysa” charcoal. 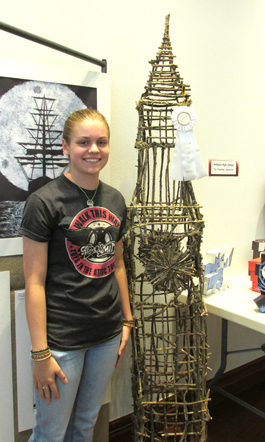 Artesia High School: Third Place, Kelcey Fanning, “Big Ben,” wood and twine. 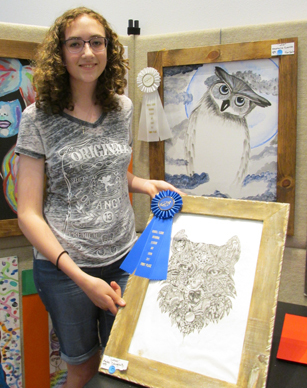 Park Junior High School: First Place, Kelsi Daughrity, “Lobo,” pen and ink. Park Junior High School: Honorable Mention, Karla Maldonado, “Deadly Rose,” digital photograph. 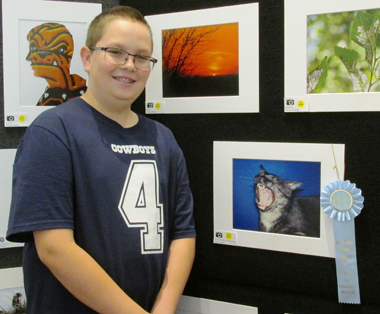 Park Junior High School: Honorable Mention, Heath Cosper, “OJ in the Morning,” digital photograph. Zia Intermediate School: Honorable Mention, Zoe Herrera, “My Dream,” acrylic.